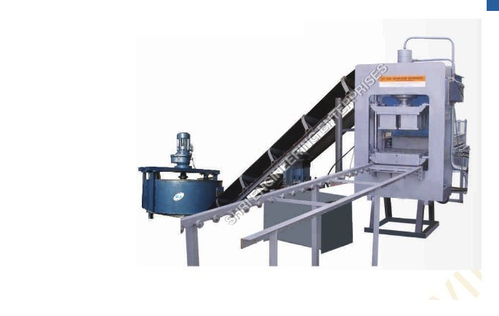 Integrated with a conveyor, pan mixer, oil tank and different sizes of moulds, this Fly Ash Brick Making Machine is known for its high speed performance. Being a reputed manufacturer in the industry, we use premium quality materials and advanced mechanisms for engineering the machine in tandem with highest quality standards. In order to make sure that this Fly Ash Brick Making Machine delivers flawless performance, we strictly examine its functioning before the final dispatch. Hydraulic Operated Semi Automatic Fly Ash Brick Making Machine with Hydraulic Power Pack With Conveyor Belt System for Feeding raw material. Vibration to Mould Oil Cooling System to cool down oil even Press is working.